10.IP67 Waterproof, smart bracelet from water (Not for swimming or taking a shower). 11.Heart rate monitor and blood pressure monitor. Color Screen: ISTYLE Color Screen Fitness tracker adopts new 0.96 inch color screen design, offer you new visual experience. 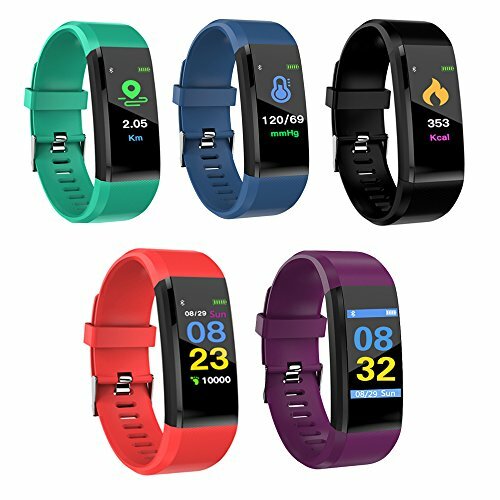 Multiple Functions: Blood Pressure,Dynamic Heart Rate, Step,Calories,Distance,sleep monitor,Alarm Reminder,Call Reminder,Message Reminder(wechat, QQ, Facebook, Twitter and so on),Raise hand to wake the watch,shake hand to take photo and so on.This Bluetooth 4.0 sport fitness tracker can monitor our body health value. Package Content: IS115PLUS COLOR SCREEN SMART WATCH *1 + USER MANUAL *1. Guarantee: a 12-month Product Warranty and 7×24 hrs friendly customer service . If you have any questions about this product by Istyle, contact us by completing and submitting the form below. If you are looking for a specif part number, please include it with your message.